We’re actively engaging the talent and commitment of community partners in all areas of society, such as government, health care, education, nonprofits, and private organizations, and others. 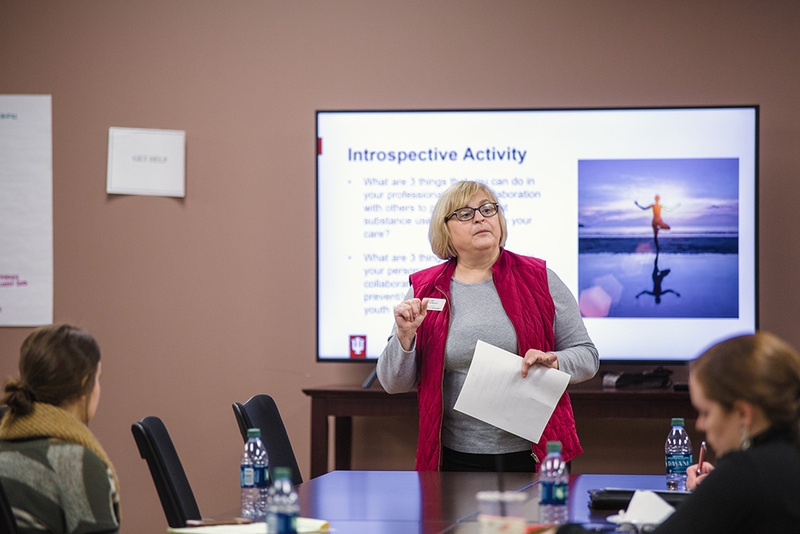 The Center for Rural Engagement convenes a variety of community groups, which are active and welcoming new members. 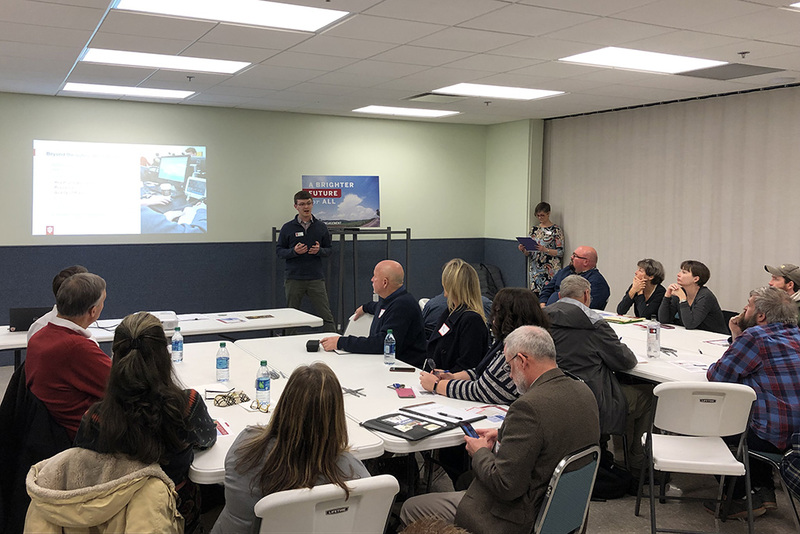 The Four County Collaboration for Workforce and Education Success provides an opportunity for community leaders in Greene, Lawrence, Martin, and Daviess counties to connect, network, share resources, and facilitate training that promotes workforce and education success. 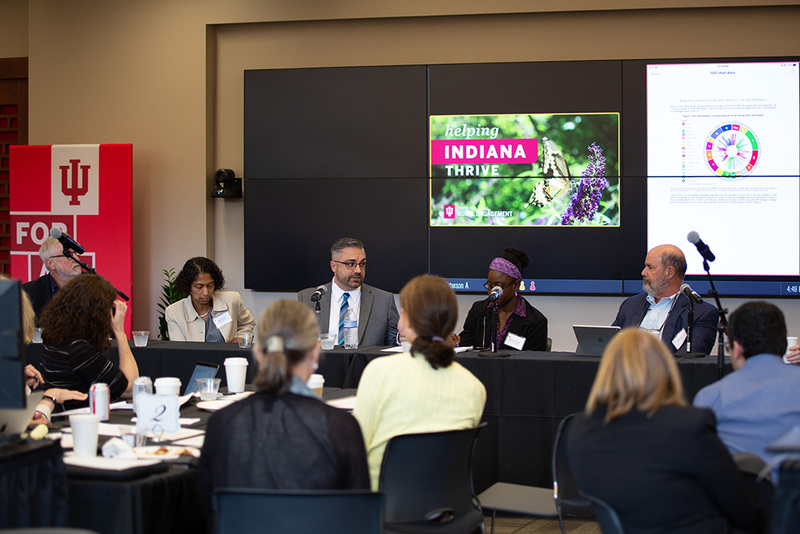 The collaboration has identified the following barriers to workforce success—poverty, substance abuse, mental health, and educational attainment—and is working to address these barriers. Members of the collaboration meet four times a year. If you are interested in attending the collaboration meetings or receiving more information, please contact Linda Henderson, Healthy Hoosier Communities Senior Liaison. Sustaining Hoosier Communities coordinating committees bring together community members—such as public employees, elected officials, non-profit professionals, business owners, and residents—to drive the Sustaining Hoosier Communities application process and share in the collaborative experience between the community and IU. 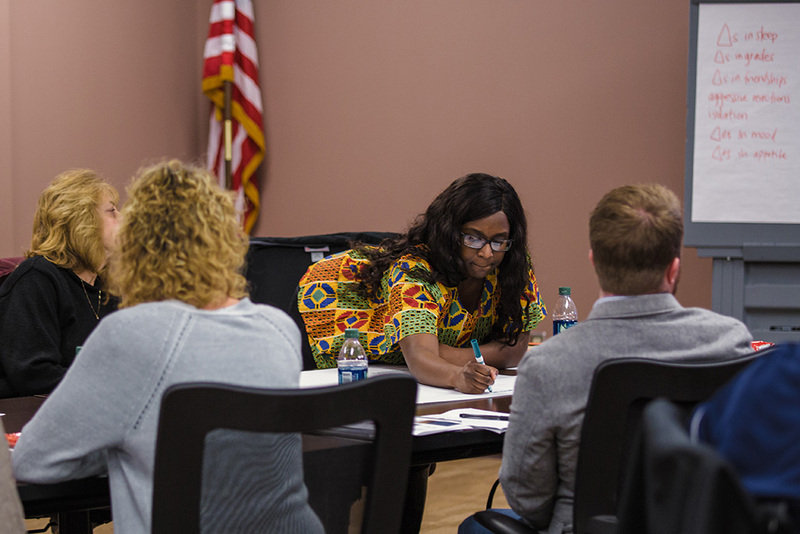 Community coordinating committees currently exist in Lawrence, Orange, and Greene Counties. 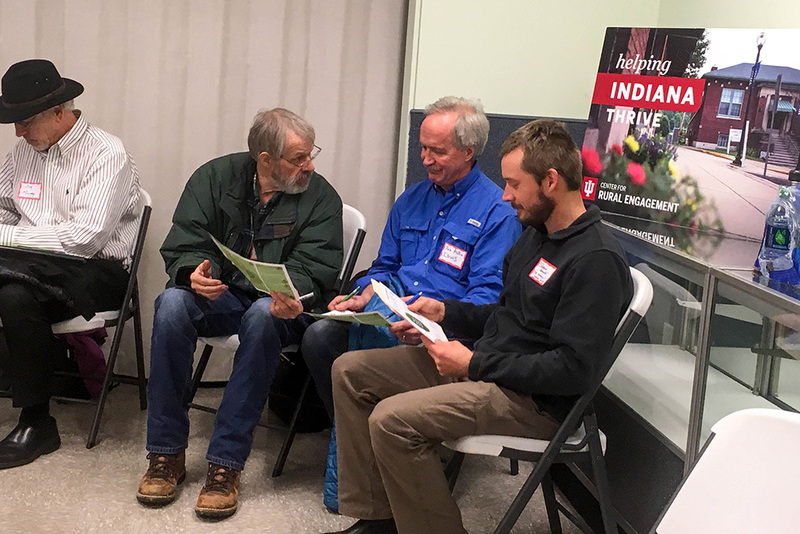 Contact Jane Rogan, Director of Sustaining Hoosier Communities, to join or launch a coordinating committee in your community. 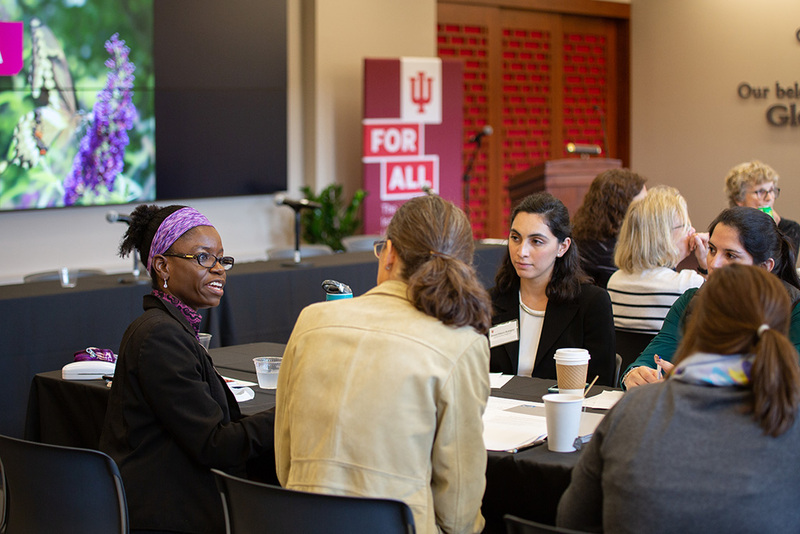 Quality of Place steering committee members work closely with IU staff to help connect the university with the community, plan and host events, craft proposals and grant applications, and represent our work at both formal and informal meetings. 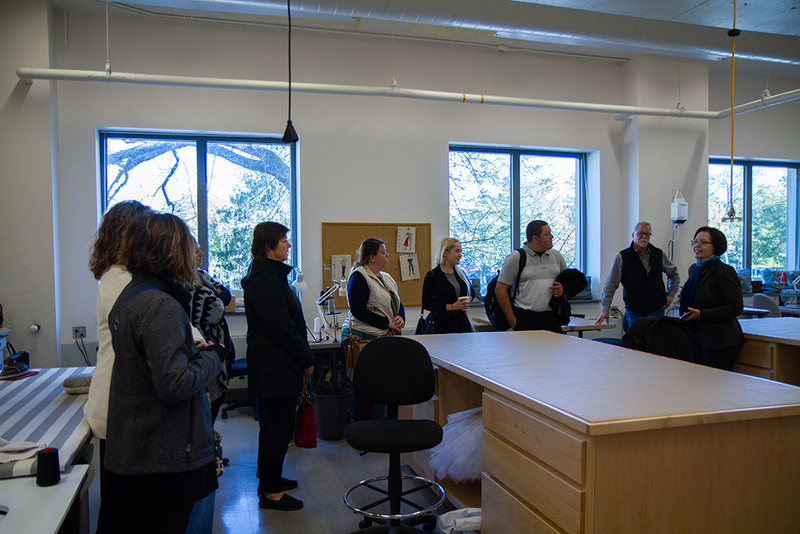 Committee members meet bi-monthly or as scheduled and visit the IU Bloomington campus once or twice per year. 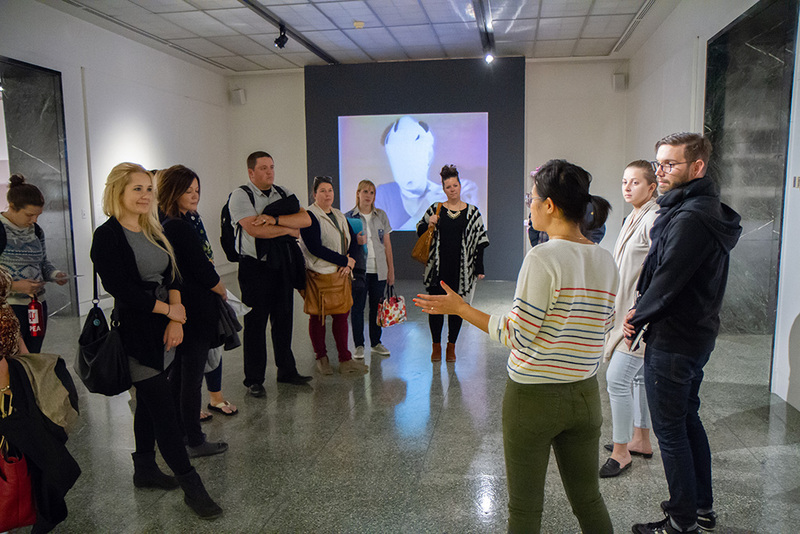 Members are also given a chance to pursue educational opportunities and leadership workshops in arts administration at IU and elsewhere. Current steering committees are established in Nashville, Salem, and Huntingburg, Indiana. If you are interested in joining a committee or starting one in your community, contact Adrian Starnes, Hoosier Quality of Place Liaison. 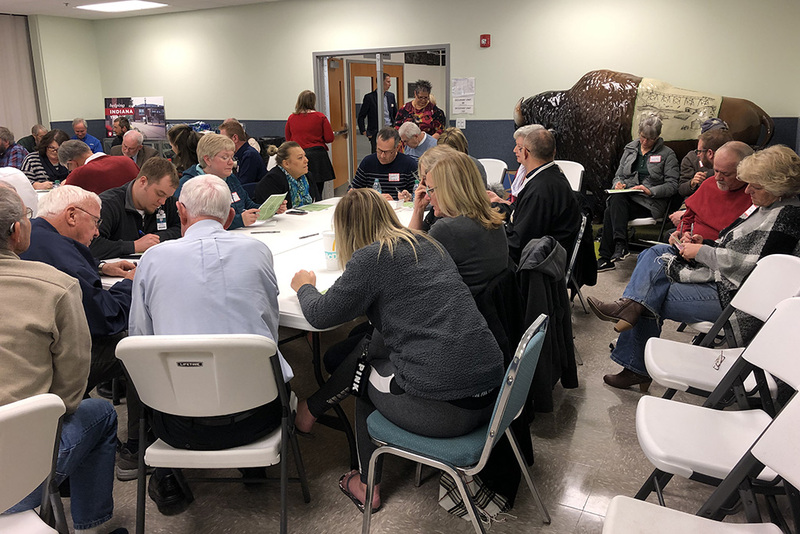 Greene County Community Meeting: Members of the Greene County community gathered to brainstorm project ideas for the 2019-2020 collaboration with Sustaining Hoosier Communities. 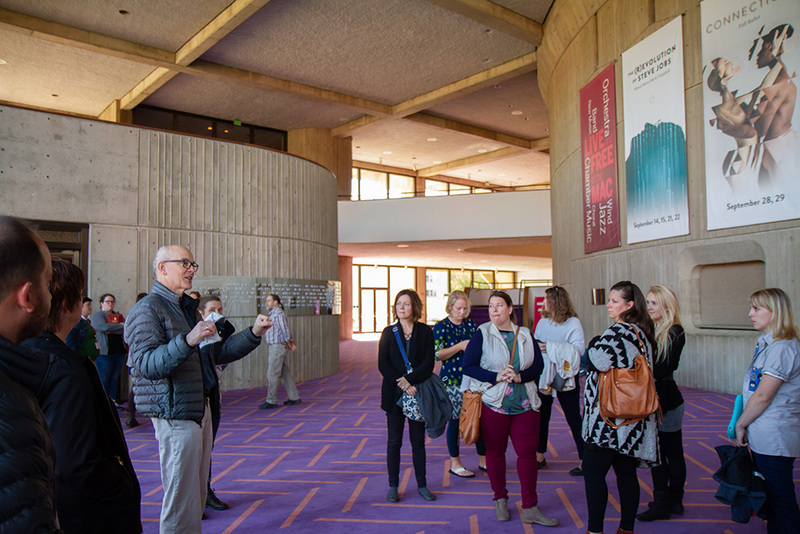 Arts Tour: Community leaders convened at IU Bloomington to learn about arts at IU and discuss how arts connect to rural communities. 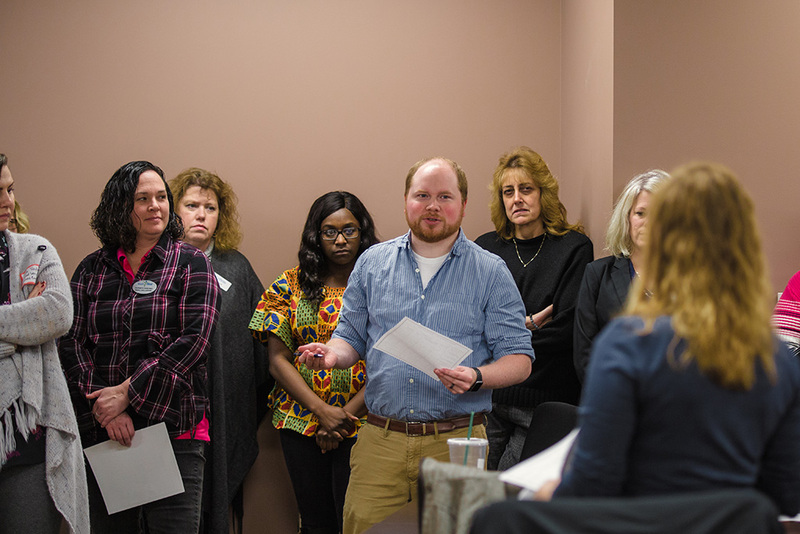 Four County Collaboration: Members of the Four County Collaboration come together to discuss youth substance use and ways to respond to behavioral warning signs. 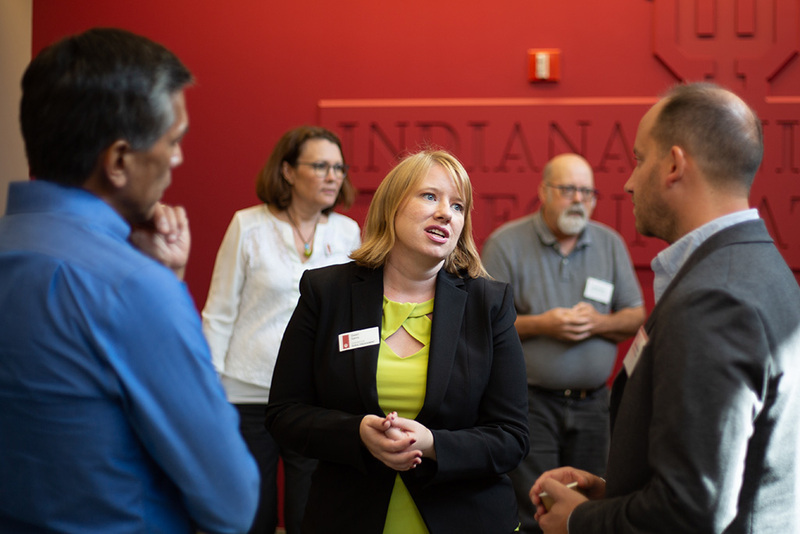 Rural Data Workshop: Community members joined faculty and researchers across campus for a rural data workshop to discuss ways to leverage data and inform work in rural Indiana. Data services are available to support community members with finding data resources, gathering data for projects focused in southern Indiana, and providing simple, descriptive visualizations. Request data and visualizations using our data request form.